Today EURUSD is under the influence of Germany GDP, The GDP and the election in France. 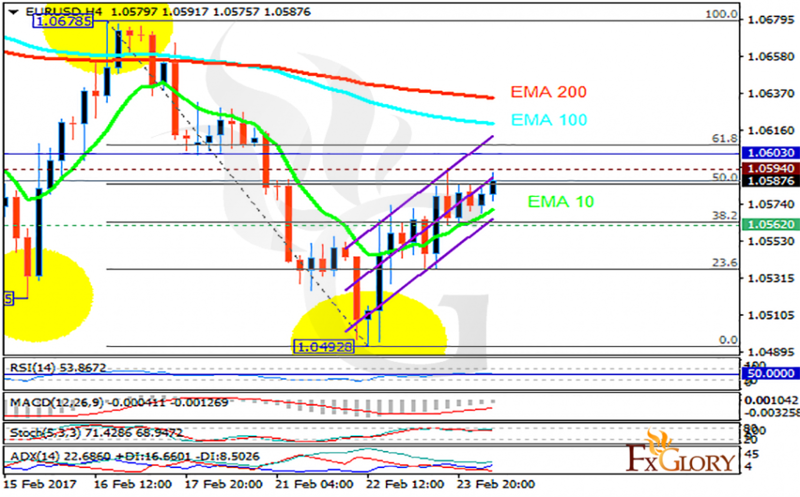 The support rests at 1.05620 with resistance at 1.05940 which both lines are below the weekly pivot point at 1.06030. The EMA of 10 is moving with bullish bias along the ascendant channel and it is below the EMA of 100 and 200. The RSI is moving horizontally on 50 level, the Stochastic is moving in its high ranges and the MACD indicator is in negative territory. The ADX is showing buy signals. Long positions are recommended targeting 61.8 level of Fibonacci retracement.